1900: New York City. Joe Walcott Defeats Mysterious Billy Smith. 25 Rounds. 1910: Paris, France. World Welterweight Championship. Harry Lewis KO 3 Peter Brown. Retains title. 1926: Pascual Perez born in Tupungato, Mendoza, Argentina. 1935: Paris, France. World Middleweight Championship. Marcel Thil KO 14 Vilda Jaks. Retains title. 1950: Kenny Bayless born in Berkeley, California. 1956: Kevin Rooney born in Catskill, New York. 1962: San Francisco, CA. World Bantamweight Championship. Eder Jofre KO 10 Herman Marquez. Retains title. 1969: Wilfredo Rivera born in Rio Piedras, Puerto Rico. 1975: Salvador Sanchez makes his pro debut in Veracruz, Mexico. Defeats Al Gardeno. KO 3. 1980: Seattle, WA. WBA Super Bantamweight Championship. Leo Randolph KO 15 Ricardo Cardona. Wins title. 1980: Delvin Rodriguez born in Santiago de los Caballeros, Dominican Republic. 1981: Kubrat Pulev born in Sofia, Bulgaria. 1985: Oranjestad, Aruba. Wins vacant WBC Super Bantamweight Championship. 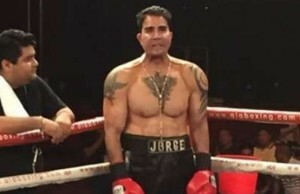 Daniel Zaragoza Defeats Freddie Jackson. DQ. 7. 1985: Daniel Estrada born in Iztapalapa, Distrito Federal, Mexico. 1991: Laredo, Tx. IBF Bantamweight Championship. Orlando Canizales KO 8 Billy Hardy. Retains title. 1993: Denver, CO. IBF Bantamweight Championship. Reggie Johnson Defeats Wayne Harris. 12 rounds. Retains title. 1994: Yokohama, Japan. WBC Super Flyweight Champion. Hiroshi Kawashima W 12 Jose Luis Bueno, 12 rounds. Wins title. 1997: Atlantic City, NJ. Non-title. Arturo Gatti KO 8 Calvin Grove. 2007: Las Vegas, NV. World Junior Flyweight. Hugo Cazares KO 2 Wilfrido Valdez. Retains title. 1905: San Francisco, CA. World Lightweight Championship. Jimmy Britt KO 20 Jabez White. Retains title. 1907: Frankie Klick born in San Francisco, California. 1922: New York City, NY. Non-title. Lew Tendler W 15 Johnny Dundee. 1944: Boston, MA. NBA Featherweight Championship. Sal Bartolo W 15 Phil Terranova. Retains title. 1947: Cincinnati, OH. Ezzard Charles W 10 Archie Moore. 1963: Duke McKenzie born in Croydon, London, United Kingdom. 1968: Dariusz Michalczewski born in Gdansk, Poland. 1972: Daniel Reyes born in Cartagena del Chairá, Bolívar, Colombia. 1973: Brazil.WBC Featherweight Championship. Eder Jofre W 15 Jose Legra. Wins title. 1983: Shizuoka, Japan. WBA Flyweight Championship.Santos Laciar KO 2 Shuichi Hozumi. Retains title. 1984: Guaynabo, Puerto Rico. WBA Cruiserweight Championship. Osvaldo Ocasio KO 15 John Odhiambo. Retains title. 1984: Derrick Findley born in Chicago, Illinois. 1985: Edwin Rodriguez born in Moca, Dominican Republic. 1986: Los Angeles, CA. WBC Light-Welterweight Championship. Rene Arredondo KO 5 Lonnie Smith. Wins title. 1987: Erick Ochieng born in Nairobi, Kenya. 1991: Paris, France. WBA Light-Middleweight Championship. Gilbert Dele W 12 Jun Sok Hwang. Retains title. 1993: Belfast, Ireland. 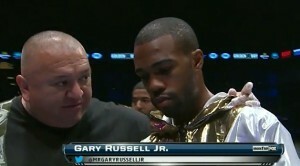 WBA Welterweight Championship. Crisanto Espana W 12 Rodolfo. Retains title. 2001: Philadelphia, PA. WBA Junior-Lightweight Joel Championship. Casamayor W 12 Edwin Santana. Retains title. 2004: Sydney, Australia. WBA Super Middleweight Championship. Manny Siaca W 12 Anthony Mundine. Wins title. 2007: Las Vegas, NV. 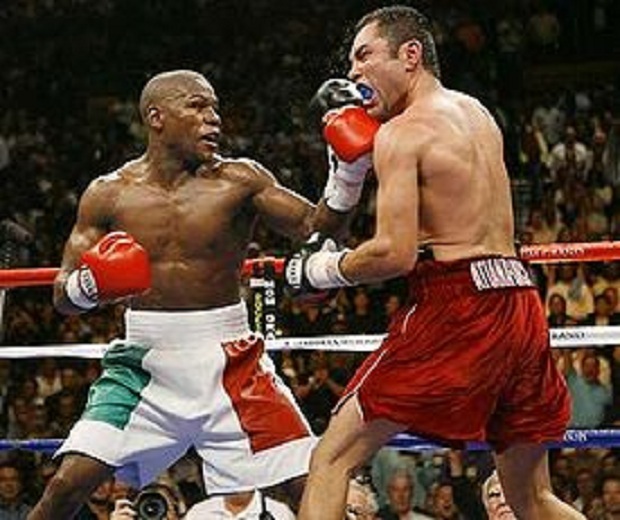 WBC Light-Middleweight Floyd Mayweather W 12 Oscar De La Hoya. Wins Title. 1898: San Francisco, CA. James J. Jeffries W 20 Tom Sharkey. 1900: Galveston, TX. Jack Johnson KO 2 Jim McCormick. 1923: Sam Langford Vs. Andres Balsa last recorded ‘fight to the finish. Langford wins via a knockout in 3 rounds. 1967: Buenos Aires, Argentina. Carlos Monzon D 10 Bennie Briscoe. 1970: Rosendo Alvarez born in Ciudad Sandino, Nicaragua. 1978: Via Reggio, Italy. WBA Light Heavyweight Championship. Victor Galindez W 15 Yaqui Lopez. Retains title. 1978: Bangkok. Thailand. WBC Junior Flyweight Netmoi Varasingh W 15 Freddy Castillo. Wins Title. 1981:Aaron Lyons from Gulfport, Mississippi. 1983-Wilton Hilario born in Santo Domingo, Dominican Republic. 1985: Grenoble, France. WBA Flyweight Championship. Santos Laciar W 15 Antoine Montero. Retains title. 1988: Manila. Philippines. IBF Flyweight Championship. Rolando Bohol W 15 Cho Woon Park. Retains title. 1989: Pensacola, FL. Pro Debut of Roy Jones Jr. KO 2 Ricky Randall. 1994: Atlantic City, NJ. WBC Heavyweight Championship. Lennox Lewis KO 8 Phil Jackson. Retains title. 1994: Atlantic City, NJ. WBC Featherweight Kevin Kelly W 12 Jesse Benevides. Retains title. 1995: Las Vegas, NV. IBF Lightweight Championship. Oscar De La Hoya KO 2 Rafael Ruelas, Las Vegas. Wins Title. 1995: Las Vegas, NV. . WBC Junior-Lightweight Gabriel Ruelas KO 11 Jimmy Garcia. Retains title. 1995: Las Vegas, NV. Johnny Tapia Tech. Draw 8 Ricardo Vargas. 2000: Nordrhein-Westfalen, Germany. WBC Cruiserweight Juan Carlos Gomez KO 3 Imamu Mayfield. Retains title. 2000: Frankfurt, Germany. WBC Super Middleweight Championship. Glenn Catley KO 12 Markus Beyer. Wins Title. 2000: Pittsburgh, PA. IBF Lightweight Paul Spadafora WTD10 Mike Griffith, Pittsburgh. Retains title. 2000: Las Cruces, New Mexico. Johnny Tapia W 12 Pedro Javier Torres. 2006: Las Vegas, NV. WBC Light-Middleweight Championship. Oscar De La Hoya KO 6 Ricardo Mayorga, Regains title. 2006: Worcester, MA. WBA Light-Middleweight Championship. Jose Antonio Rivera W 12 Alejandro Garcia. Wins Title. 2006: Worcester, MA. IBF Super Flyweight Championship. Luis Perez W 12 Dimitri Kirilov. Retains title. 2006: Tokyo, Japan. WBC Minimumweight Championship. Eagle Kyowa W 12 Rodel Moyal. Retains title. 2006: Jakarta, Indonesia. IBF Minimumweight Championship. Muhammad Rachman KO 6 Omar Soto. Retains title. 1937: New York City, NY. World Lightweight Championship. Lou Ambers W 15 Tony Canzoneri. Retains title. 1958: Houston, TX. World Lightweight Championship. Joe “Old Bones” Brown KO 8 Ralph Dupas. Retains title. 1965: Los Angeles, CA. World Featherweight Championship. Vicente Saldivar KO 15 Raul Rojas. Retains title. 1972: Tokyo, Japan. World Light-Middleweight Championship. Koichi Wajima KO 1 Domenico Tiberia. Retains title. 1975: Monte Carlo, France. WBC Light-Middleweight Championship. Miguel de Oliveira W 15 Jose Duran. Wins vacant title. 1978: Seoul, S. Korea. WBA Super Bantamweight Championship. Ricardo Cardona KO 12 Soo Hwan Hong. Wins Title. 1978: Hiroshima, Japan. WBA Junior Flyweight Championship. Yoko Gushiken KO 13 Jaime Rios. Retains title. 1988: San Patrignano, Italy. WBA Light-Welterweight Championship. Juan Coggi KO 2 Sang Ho Lee. Retains title. 1990: Inglewood, CA. WBC Bantamweight Championship. Raul Perez KO 9 Gerardo Martinez. Retains title. 1994: Las Vegas, CA. WBC Middleweight Championship. Gerald McClellan KO 1 Julian Jackson. Retains title. 1994: Las Vegas, NV. WBC Light-Middleweight Championship. “Terrible” Terry Norris W 12 Simon Brown. Regains title. 1994: Las Vegas, NV. WBC Light-Welterweight Julio Cesar Chavez TW 8 Frankie Randall, Las Vegas. Regains title. 1994: Las Vegas, NV. WBC Junior-Lightweight Jesse James Leija W 12 Azumah Nelson. Wins Title. 1994: Las Vegas, NV. WBC Strawweight Championship. Ricardo Lopez W 12 Kermin Guardia. Retains title. 1995: Songkhla, Thailand. WBA Flyweight Championship. Saensor Ploenchit W 12 Evangelio Perez. Retains title. 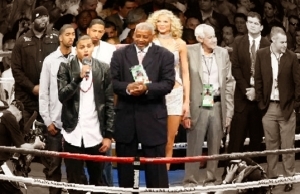 2005: Las Vegas, Nevada, WBC and WBO World Lightweight Championship. Diego Corrales KO 10 Jose Luis Castillo. Retains WBO Title and wins WBC title. 2007: Diego Corrales dies in a motorcycle accident in Las Vegas, Nevada. 1900: Chicago, IL. Tom Sharkey KO 3 Joe Choynski, Tattersall. 1907: Los Angeles, CA. World Heavyweight Championship.Tommy Burns W 20 Philadelphia Jack O’Brien. Retains title. 1913: Fritzie Zivic born in Lawrenceville, Pennsylvania. 1932: Sonny Liston born in Johnson Township, Arkansas. 1934: Los Angeles, CA. Mickey Walker W 10 (Slapsie) Maxie Rosenbloom. 1936: New York City, NY. Tony Canzoneri W 10 Jimmy McLarnin. 1962: Freddie Miller died in Cincinnati, Ohio. 1965:Kelcie Banks born in Chicago, Illinois. 1969: Fabrice Tiozzo born in Saint-Denis, Seine-Saint-Denis, France. 1976: Bayamon, Puerto Rico. WBC Lightweight Championship. Esteban DeJesus W 15 Ishimatsu Suzuki. Wins title. 1976: WBC Bantamweight Championship. Inglewood, CA. Carlos Zarate KO 9 Rodolfo Martinez. Wins title. 1982: Las Vegas, NV. WBA Lightweight Championship. Ray Mancini KO 1 Art Frias. Wins title. 1982: Dallas, TX. WBC Featherweight Championship. Salvador Sanchez W 15 Rocky Garcia. Retains title. 1987: Sydney, Australia. WBC Super Bantamweight Championship. Jeff Fenech KO 4 Samart Payakaroon. Wins title. 1990: Las Vegas, NV. WBA Cruiserweight Championship. Bobby Czyz W 12 Don LaLonde. Retains title. 1993: Las Vegas, NV. WBC Heavyweight Championship. Lennox Lewis W 12 Tony Tucker. Retains title. 1993: Las Vegas, NV. WBC Middleweight Championship. Gerald McClellan KO 5 Julian Jackson. Wins title. 1993: Las Vegas, NV. WBC Light-Welterweight Championship. Julio Cesar Chavez KO 6 Terrance Alli. Retains title. 1994: Province, Thailand. IBF Flyweight Championship. Pichit Sithbangprachan W 12 Jose Luis Zepeda, Rajaburi. Retains title. 1999: Dusseldorf, Germany. IBF Super Middleweight Championship. Sven Ottke W 12 Gabriel Hernandez. Retains title. 1999: Las Vegas, NV. WBA Super Bantamweight Championship. Nestor Garza KO 8 Carlos Barreto. Retains title. 1999: Las Vegas, NV. WBC Super Bantamweight Championship. Erik Morales KO 9 Juan Carlos Ramirez. Retains title. 2001: Pittsburgh, PA. IBF Lightweight Championship. Paul Spadafora W 12 Joel Perez. Retains title. 2004: Las Vegas, NV. World Featherweight Championship. Manny Pacquiao D 12 Juan Manuel Marquez. Marquez retained title. 2010: Aguascalientes, Mexico. Vacant WBC International Light-Middleweight Championship. Antonio Margarito W 10 Roberto Garcia. Wins title. 2010: Osaka, Japan. WBA World Super Flyweight Championship. Hugo Cázares W 12 Nobuo Nashiro. Wins title. 2011: Lionel Rose dies at the age of 62 in Warragul, Australia. 1905: Philadelphia, PA. Jack Johnson ND 6 Joe Jeanette. 1908: Colma, CA. World Middleweight Championship. Stanley Ketchel KO 20 Jack “Twin” Sullivan. Wins vacant title. 1930: Detroit. NBA Welterweight Young Championship. Jack Thompson W 15 Jackie Fields. Wins title. 1936: Terry Downes born in Paddington, London, United Kingdom. 1941: New York City, NY. World Middleweight Championship. Billy Soose W 15 Ken Overlin. Wins title. 1960: Iran Barkley born in Bronx, New York. 1964: Accra, Ghana.World Featherweight Championship. Sugar Ramos W 15 Floyd Robertson, Accra. Retains title. 1970: Rome, Italy. WBC Featherweight Championship. Saldivar Vicente Saldivar W 15 Johnny Famechon. Regains title. 1971: Monte Carlo, France. World Middleweight Championship. Carlos Monzon KO 3 Nino Benvenuti. Retains title. 1972: Renan St Juste born in Haiti. 1983: Caracas, Venezuela. WBC Super Flyweight Championship. Rafael Orono W 12 Raul Valdez. Retains title. 1985: Tokyo, Japan. WBC Super Flyweight Championship. Jiro Watanabe W 12 Julio Soto Solano. Retains title. 1988: Bangkok, Thailand. WBA Bantamweight Championship. Kaokor Galaxy W 12 Wilfredo Vasquez. Wins title. 1992: Retains WBC Super Welterweight Championship. 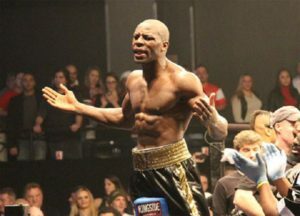 “Terrible” Terry Norris KO 4 Meldrick Taylor, Las Vegas. Retains title. 1998: Atlantic City, NJ. IBF Lightweight Championship. Sugar Shane Mosley KO 8 John John Molina. Retains title. 2009: Las Vegas, NV. IBF Light Heavyweight Championship. Chad Dawson W 12 Antonio Tarver. Retains title. 1935: New York City, NY. World Lightweight Championship. Tony Canzoneri W 15 Lou Ambers, Regains title. 1940: New York City, NY. World Lightweight Championship. Lew Jenkins KO 3 Lou Ambers. Wins title. 1961: Milan, Italy. World Light-Welterweight Championship. Duilio Loi W 15 Carlos Ortiz. Retains title. 1966: Genaro Hernandez born in Los Angeles, California. 1969: Buenos Aires. Victor Galindez’s pro debut future WBA world light-heavy weight Victor Galindez KO 4 Ramon Ruiz. 1971: Corey Johnson born in Detroit, Michigan. 1989: Kensington, England. WBA Middleweight Championship. Mike McCallum W 12 Herol Graham. Retains title. 1991: Davenport, IA. IBF Middleweight Championship. James “Lights Out” Toney KO 11 Michael Nunn. Win title. 1991: Davenport, IA. IBF Junior Flyweight Championship. Michael Carbajal W 12 Hector Patri. Retains title. 1996: New York City, NY. Evander “Real Deal ”Holyfield KO 5 Bobby Czyz. 1996: New York City, NY. Lennox Lewis W 10 Ray Mercer. 1996: New York City, NY. Tim Witherspoon KO 5 Jorge Luis Gonzalez. 1997: Coconut Grove, FL. WBA Middleweight Championship.William Joppy W 12 Peter Venancio. Retains title. Coconut Grove, FL. WBA Lightweight Championship.Orzubek Nazarov KO 7 Leavander Johnson. Retains title. Coconut Grove, FL. WBA Super Bantamweight Championship. Antonio Cermeno W 12 Angel Chacon. Retains title. 2008: Nottingham, England. WBC Light-Welterweight Championship. Timothy Bradley W 12 Junior Witter. Wins title.